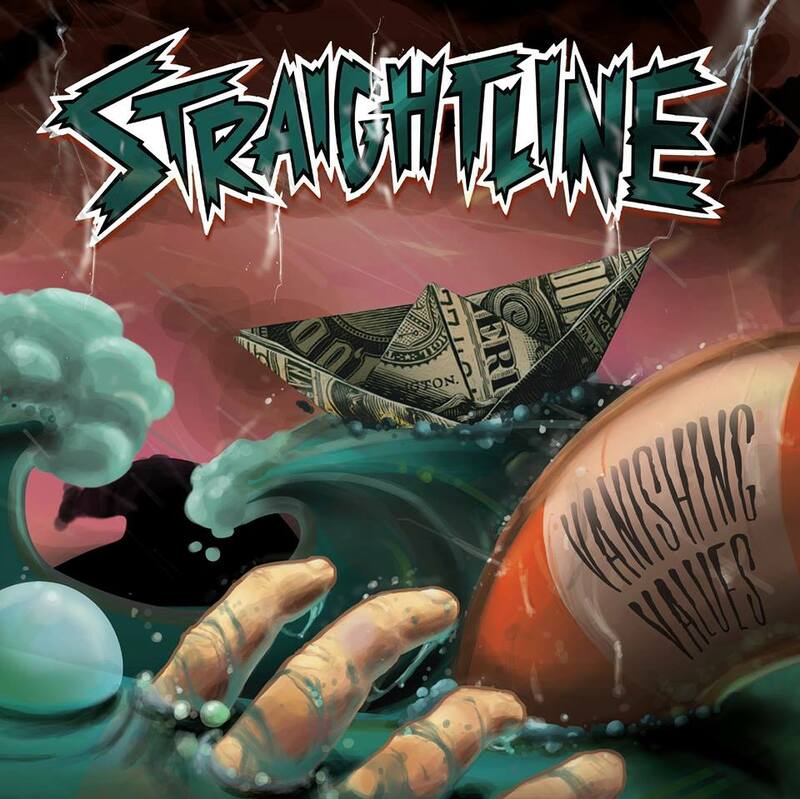 Home / reviews / straightline / vanishing values / Review || Straightline - "Vanishing Values"
Review || Straightline - "Vanishing Values"
Munich's own, Straightline, has just put out their latest opus, “Vanishing Values”. Containing 12 tracks of pure musicianship, it is guaranteed to grab your attention from the first note. Literally. “Generation Lost” (also the first video off of the record) doesn't go unnoticed and is indeed one of the best tracks the band has ever written. 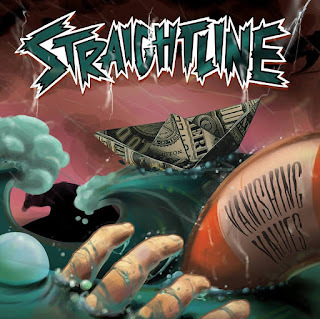 Heavily influenced by Suicidal Tendencies who would've thought it paves the way perfectly for what's to follow. Noticeably more confident and tight, they dare to take their music one step further without compromising their trademark sound. From oldschool riffs, to pummeling beats, to powerful singalongs, to acoustic parts, to a Pink Floyd cover, this album has everything. No, actually, there is one thing missing: a really high-pitched note in “Holy Wars”. Speaking of vocals, we should acknowledge that Bart has done a really good work with his vocal lines. More articulate this time, even in his melodic moments, he doesn't lose his usual edge. Notably, the compositions showcase the chemistry between the guys. Having done their fair share of touring with a stable lineup has also allowed the guys to bond, rendering their playing highly cohesive. It is a record mature and inspired, definitely their most integral album to date. I would picture having it as a soundtrack on a roadtrip; setting sun, windows rolled down, changing scenery, adventures ahead. You get the idea.